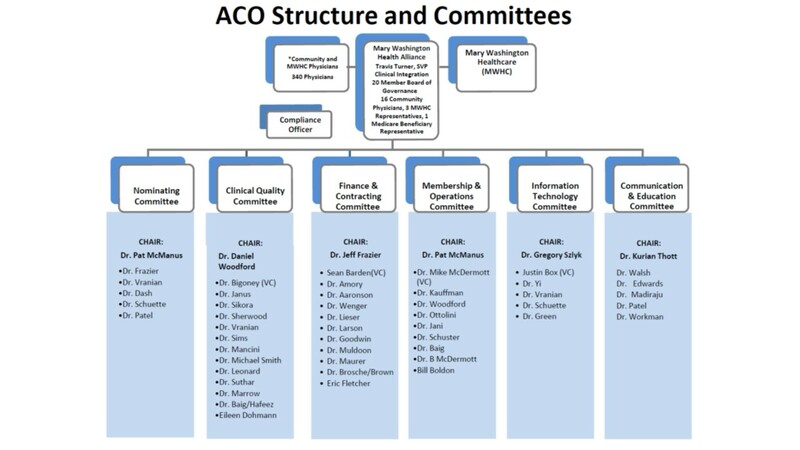 Medicare ACO's are comprised of groups of doctors, hospitals, and other health care providers and suppliers who come together voluntarily to provide coordinated, high-quality care at lower costs to their participating Medicare patients. The Next Generation ACO Model is an initiative for ACO's that are experienced in coordinating care for populations of patients. Mary Washington Health Alliance will build on Mary Washington Healthcare's (MWHC) rich 100-year history through partnerships with key stakeholders who share a common mission of improving the health of the population they serve. After completing three consecutive years in the Medicare Shared Savings Program and having shown savings and improved quality of care, the Alliance is ready to take on the road ahead within the Next Generation ACO. As one of only 58 participants in the Next Generation ACO Model across the country, the Alliance will be able to build on the current level of coordinated care and will provide an enhanced quality of care at lower costs to Medicare patients. The Alliance chose to participate in the Next Generation ACO Model because we believe that this model allows the best opportunity to shift patient care away from a clinical model built for the fee-for-service payment environment and towards a whole-person population health-focused clinical model. By partnering with their patients in care decisions, NGACO Participants will achieve the goals of better health and better care for Medicare beneficiaries. Mary Washington Health Alliance, LLC. Blue Nile Medical Center, P.C. Cardiology Associates of Fredericksburg, LTD.
Central Virginia Internal Medicine, P.L.C. Central Virginia Sleep Center, P.L.C. COOK, D.P.M., LTD., JOHN W.
Fall Hill Gastroenterology Associates, Ltd.
Gastroenterology Associates Of Fredericksburg, P.C. Internal Medicine of Virginia P.C. Lee's Hill Family Physicians, P.C. Mcmanus & Associates - Internal Medicine, P.C. Medical & Urgent Care Center, P. C.
NS Family Medical Center Inc.
Pediatric Partners For Attention And Learning, Inc.
RADIOLOGIC ASSOCIATES OF FREDERICKSBURG, LTD.
RAPPAHANNOCK WOMEN'S HEALTH CENTER, P.C. Serenite Medical & Spa, Inc.
Urology Associates of Frederickburg, P.C. There are no joint ventures between the Alliance ACO and any of its Next Generation Participants or Preferred Providers. Janus Thomas DO, Chairman/Voting Member 1 ACO Participant Representative Rappahannock Family Heathcare, Inc.
Frazier Jeffrey MD, Treasurer/Voting Member 1 ACO Participant Representative Radiologic Associates of Fredericksburg, Ltd.
Thott Kurian MD, Voting Member 1 ACO Participant Representative Women’s Health and Surgery Center, Inc.
Madiraju Krishna MD 0 Other – Community Physician Century Pediatrics, Inc.
Sims Adam MD, Voting Member 1 ACO Participant Representative Fredericksburg Emergency Medical Alliance, Inc. 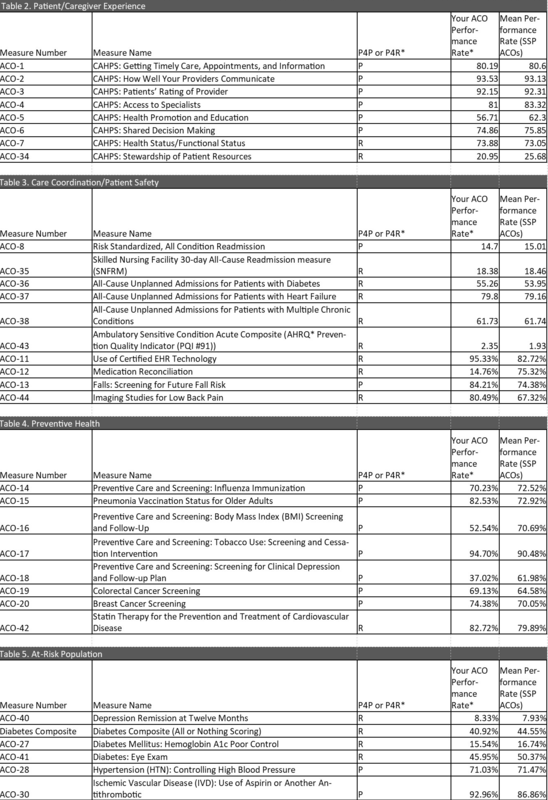 Note: In the Quality Performance Results file(s) above, search for “Mary Washington Health Alliance, LLC.” to view the quality performance results. This ACO can also be found by using the ACO ID A07732 in the public use files on data.cms.gov. ACO Beneficiary Fact Sheet, Accountable Care Organizations and You: Frequently Asked Questions (FAQ) for People with Medicare.